Your precious time... you won't lose. OK, if you wish maybe four. soon you'll dig into the chocolate. So I needed a quick dessert, and the crunchy, salty and sweet combination of pretzels and chocolate seemed an appealing twist on my family's favorite Chunk-a-Chews. 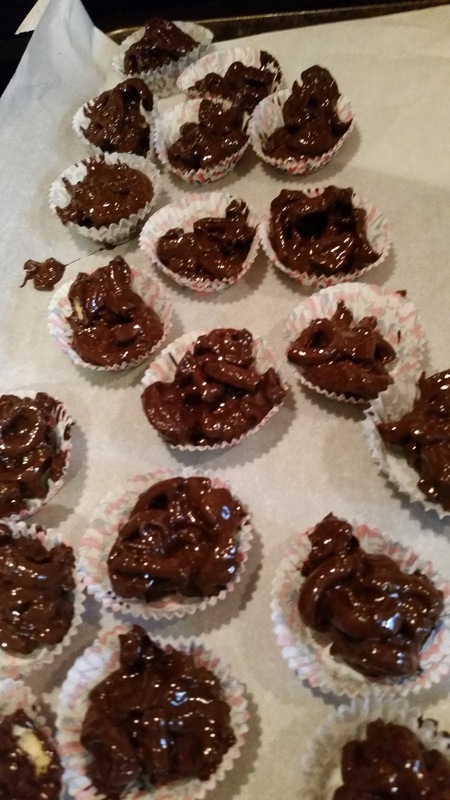 You can substitute up to a cup of other mix-ins, like nuts, peppermint candy or mini-marshmallows as you see fit. A sprinkle of coarse sea salt on top is an option for those true lovers of the salty-sweet dessert (non-dairy dessert). 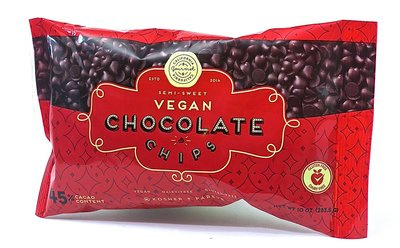 I recently came across two varieties of chocolate by the company California Gourmet that makes both a non-dairy, vegan as well as a soy chocolate chip. They taste great and seem very high quality in terms of the chocolate. Enjoy! Place the chocolate chips and vegetable shortening in a medium sized microwave safe bowl. Cooking time varies based on wattage of your microwave. Microwave on high heat 1-1 1/2 minutes. Remove bowl and stir until smooth. If chips aren't melted, return to microwave for 15 second intervals, stirring in between. Allow to cool for 10 minutes. Place two dozen paper mini-muffin cup liners on a large cookie sheet. If you don't have these, you can line the cookie sheet with waxed or parchment paper, and drop the chocolate right onto the paper. 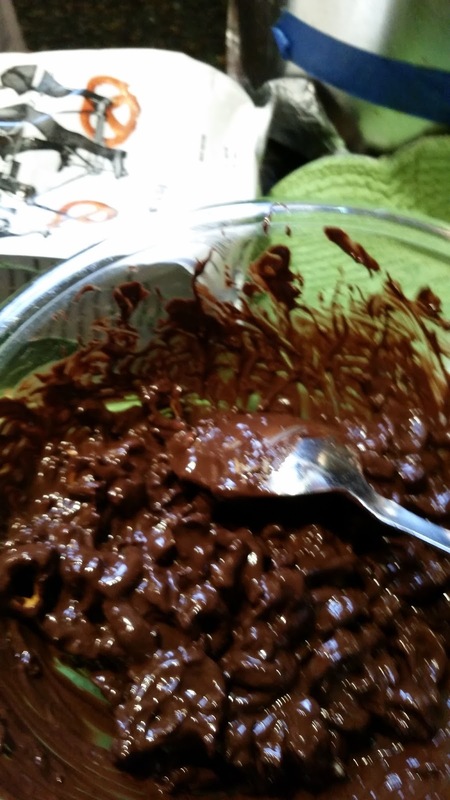 Stir the pretzels (or other mix-ins) into the chocolate. Drop by tablespoonfuls into liners. Sprinkle with sea salt or colored sprinkles (if desired). Place into refrigerator until firm. Store in covered container. *You may substitute up to 1 cup of crushed or chopped nuts, peppermint candy, mini-marshmallows, cut up caramels, dried fruit, etc.